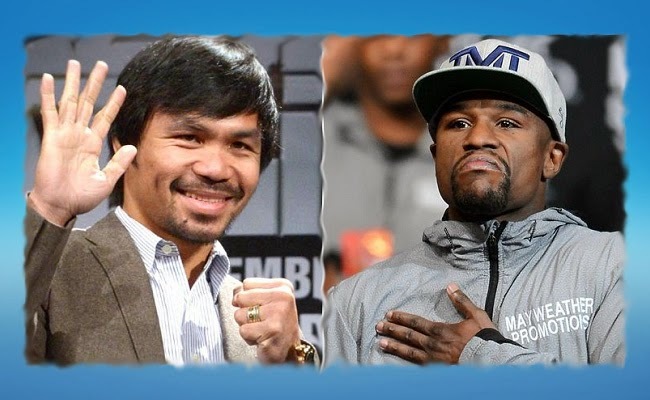 The mega-fight between Manny Pacquiao and Floyd Mayweather Jr. is right around the corner and Las Vegas seemed to be in a betting frenzy as boxing fans closely watching the sports books and the iconic boxers’ performances. Some bet that they will win as much as $80 million on May 2. Sports books are showing a huge haul on the mega-fight. Southpoint Hotel and Casino’s Director for sports book, Jimmy Vacarro shared that the event might be the largest handle they have ever had in a boxing match in Nevada. He also shared that the event will surely yield the biggest ticket transaction in their history as they are expecting more ticket bets than any other events. He explained that the fight is not simply between Pacquiao and Mayweather but it is actually Mayweather against the Filipinos. The records are currently showing 6-1, six are for Pacquiao. It is natural for Filipinos to support the ‘Filipino Pride’. It is a moment that they will support Pacquiao as they feel that they are also a part of it. He also revealed that since the date of the fight had been announced, bet had already started pouring in and most of them are on the Filipino Champion. He also shared that they are surprised by the number of the smaller tickets which cost $200 to $1200. People will just head to their window, put down their money and just say it is for Pacquiao, not even bothering to ask about the odds. They are also adjusting the line according to the number of bets on a side. Odds starting at +250 for PacMan while Money Floyd is at -300. This means that to earn $100 on Mayweather, one has to bet $300 on him while only $250 bet on Pacquiao will earn $100. With the current number of bets, the lines had been adjusted putting Pacquiao at +60 while Mayweather is at -180.